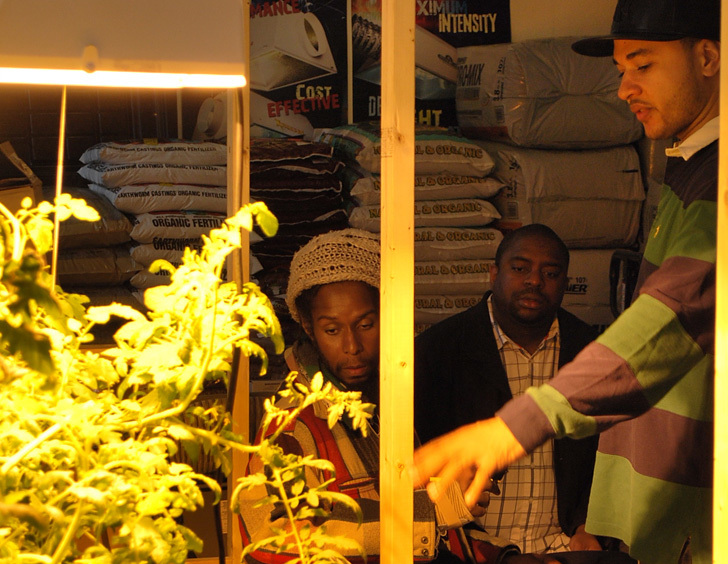 City Grow and Bronx Hydro wants New Yorkers to educate themselves about the benefits of indoor and urban farming. With locations in the Bronx and Brooklyn, they offer all of the supplies you could possibly need to set up your own edible garden. In addition, they offer free monthly workshops on sustainable urban farming that are open to the whole community! City Grow’s mission is not just to be a retail store, but to cultivate a community of passionate urban farmers that will influence the habit and diets of New Yorkers in the five boroughs. Each Saturday, City Grow’s Greenpoint location offers classes on creating your own hydroponic garden, encouraging New Yorkers to raise their own fresh veggies year round. The also have a rotating selection of seasonal workshops that are taught by their expert staff. City Grow is also a proponent of vegetative roofs. Encouraging landlords and building owners to save money and the environment, they can create a customized green roof for any building. Some energy efficient options include installing solar panels, rainwater recycling systems, and both edible and non edible plant life. They teach their customers that the vegetative roofs can save money by reducing solar gain, extending the life of the roof membrane, capturing rainwater before it can clog sewers and sump pumps and keep the building’s interior cooler, not to mention the food it could yield! Aside from free community education, the store also has all the supplies needed for hydroponic or aeroponic growing systems, which are both perfect for the urban farmer who lacks the outdoor soil space to tend a garden. City Grow is a one stop shop for greening your living space and educating yourself about how you can help New York become a greener, greater city. Oh No! no more city grow hydro in the Bronx? I'm a beginner at organic gardening and located in the Bronx, N.Y. I just found out that there was a CGH retailer in the Bronx no more than 20 mins. from my neighborhood. Went to take a ride by there Mon. Jan. 7th, 2013 to find a cleanup up crew and the disappointing news that City Grow Hydro had closed. what a bummer! where to buy my Hydro and organic supplies now that you guys are gone? My big box store doesn't carry Fox Farm products. any suggestions? City Grow’s mission is not just to be a retail store, but to cultivate a community of passionate urban farmers, that will influence the habit and diets of New Yorkers in the five boroughs. Each Saturday, City Grow’s Greenpoint location offers classes on creating your own hydroponic garden, encouraging New Yorkers to raise their own fresh veggies year round. The also have a rotating selection of seasonal workshops, taught by their expert staff. City Grow is also a proponent of vegetative roofs. Encouraging landlords and building owners to save money and the environment, they can create a customized green roof for any building. Some energy efficient options include installing solar panels, rainwater recycling systems, and both edible and non edible plant life. They teach their customers that the vegetative roofs can save money by reducing solar gain, extending the life of the roof membrane, capturing rainwater before it can clog sewers and sump pumps, keep the building’s interior cooler, offset electricity with solar panels, not to mention the food it could yield! Aside from free community education, the store also has all the supplies needed for hydroponic or aeroponic growing systems, which are both perfect for the urban farmer who lacks the outdoor soil space to tend a garden. City Grow is a one stop shop for greening your living space, while educating yourself.